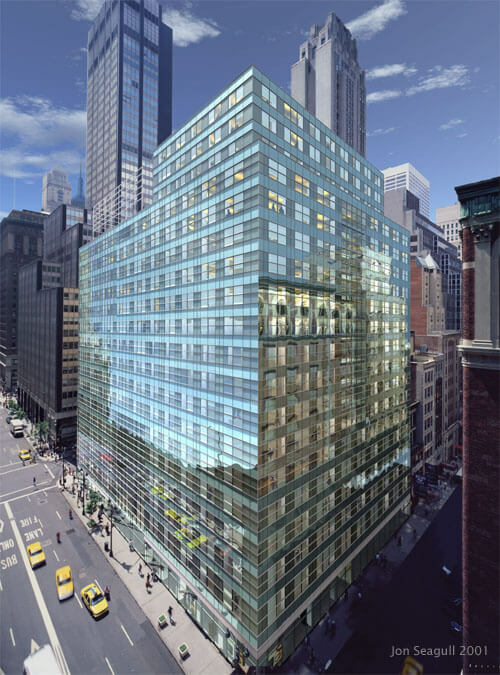 Aareal Capital Corporation, a German lender, just signed a lease to relocate its offices from 250 Park Avenue to Stawski Partners‘ 360 Madison Avenue. The 25-story building is located between 45th and 46th Streets. They will be occupying 14,683 rentable square feet on the entire 18th floor. Rents in the building on average are between $66 and $80 per square foot. Drawn to the building because of its owner’s reputation and proximity to Grand Central, Aareal will be joining companies like Seaport Group Holdings, Marex Spectron and Laurion Capital Management. A team from Savills Studley represented the tenant in the deal and CBRE represented Stawski. For more information on this asset please click here. If you are looking for office space, try our free office space search here.